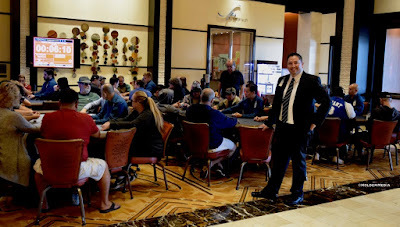 @John_Rochfort returns to @TVPokerRoom from @ViejasCasino to help manage the WSOP Circuit Series and take care of the six tables of players competing in the Thunder Valley hotel lobby as the poker room expands to 40 tables during the series. 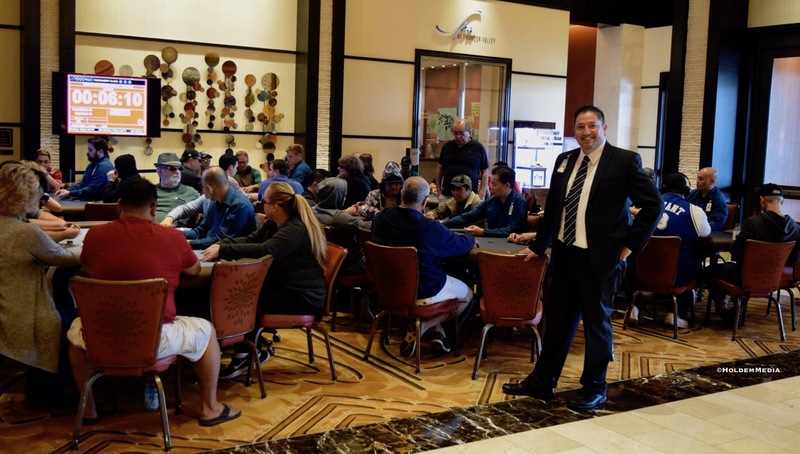 4pm players - today that is the players in Day 1B of Event 1 - are using the 6 hotel lobby tables as part of play. The extra tables help with the expected large fields this weekend and throughout the 12 Rings in 12 Days series. John, for many years a part of the poker room here - is now at Viejas Casino Resort in San Diego.